Depending on the brand of solid surface you choose, your edge options may vary. 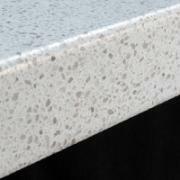 However, these are the edges that are available on any solid surface. 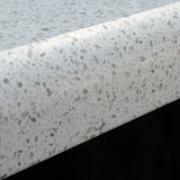 This is the most basic edge for solid surface countertops, and also a very popular choice. It is basic and easy to maintain. 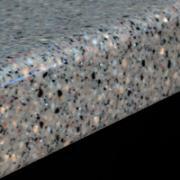 This is one of the edge choices available in any of the solid surface materials. 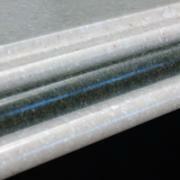 This is similar to the standard rolled edge you find on the majority of laminate countertops. It is a familiar edge, and very popular. 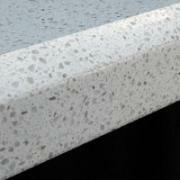 Depending on the brand of solid surface that you choose, there may be other edge options available. Stop by our showroom for current picing and options.